Businesses rely on Magento for e-commerce because of its impressive capabilities. The flexible platform makes it easy to configure products, payment options, and delivery. The continually growing range of templates and ad-ons gives developers and designers options they can customize for the needs of any client. Magento is search engine optimization-friendly, making organizations and products more likely to rank. It’s also mobile friendly, so users are as comfortable making purchases on their smartphones as they are on their desktops. SAP ERP helps organizations manage customer relationships, human resources, and the complete supply chain as it relates to the product life cycle. Many business owners don’t realize SAP ERP and Magento can be integrated so that they work as one robust tool. 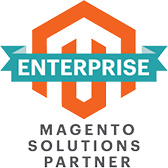 Why Integrate Magento With SAP ERP? Improved data management provides you with the knowledge you need to stay on top of trends, forecast future needs, and provide better customer service. Small and mid-sized businesses use SAP Business One to automate financial functions, warehouse operations, and human resources. It includes enhanced analytics and business intelligence features and customizable inventory control. The system is accessible on mobile devices, allowing employees to work from anywhere. Need help installing a Magento extension? Forix is highly experienced in integrating ERP connectors, third-party web services, and APIs with your site. Forix has got you covered. Your organization stores data that’s vital for decision making in SAP ERP and offers products to the world through your Magento website. Forix can combine both tools to make your business even more effective. Contact our integration experts to start planning today.